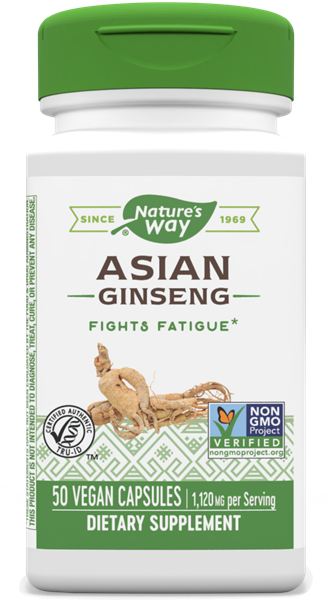 Ginseng, Korean / 50 Caps - Nature's Way®. Asian Ginseng (also known as Panax or Korean Ginseng) is a traditional Chinese herb for vitality, and is popular among individuals leading an active lifestyle. Asian Ginseng is guaranteed to contain 2% ginsenosides.